Finally cleaned up and ready to sort out moving? Talk to our expert team and let’s start planning! Happy March! You know what that means: the days are longer, the pollen count is higher, and the spring cleaning season has arrived again. 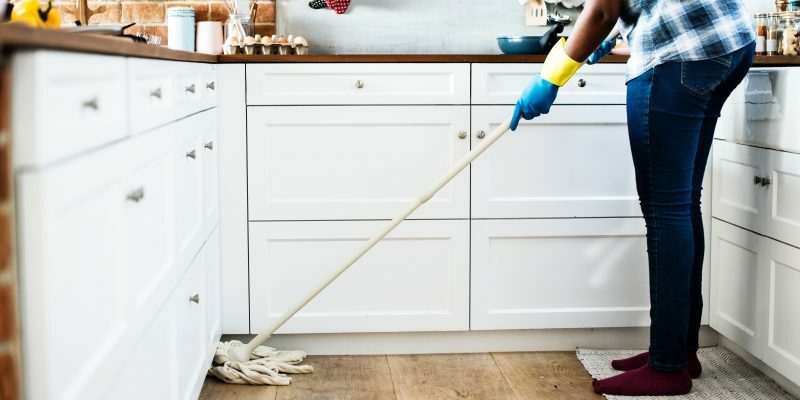 Whether you’re moving, remodeling, or decluttering, finally get around to tidying your attic this spring cleaning season. The time to part with what hasn’t seen the light of day since the 1980s is now. Following these easy steps, this seemingly daunting task can be completed in an afternoon! You’re going to need it. Maybe listen to music from the decade you last cleaned out your attic, turning your attic into a time machine. The cold beverage will help you keep you cool, especially in poorly ventilated, stuffy spaces like an attic. If you can turn cleaning into something a bit more lively and fun it’ll go by in no time! If you moved, would it really be worth taking with you? Is it broken? Is it worth keeping it to fix? Does it really add anything to your happiness? If you answered yes to any of the previous questions, get rid of it. Be honest with yourself! The trash and donation piles can be easily differentiated. If someone would spend money on the thing, donate it. If someone would not spend money on it, throw it out. Some local Palm Beach charities that accept donation include Habitat for Humanity, Goodwill, Salvation Army, and the Homeless Coalition. You’re doing a good deed by donating and reclaiming your attic space at the same time! Win, win! If you have a big attic with a ton of junk, it may be worth renting a dumpster for all the trash you’ve purged. Once you are left only with the keep pile, integrate your long lost treasures back into your home. Alternatively, pack them up in clear plastic containers, so you will easily be able to see the contents of each box next time you’re feeling inspired to clean out your attic. They’re also water and bug proof. Grab another drink and make sure you’re wearing some old clothing you don’t care about! This step gets messy. Get ahold of a good vacuum that not only has a large storage bin but that you won’t mind using for dirty places like your attic. If it’s particularly dusty up there, run by a home goods store and buy a few dust masks (especially for anyone who has slight allergies). Make sure to really get into the corners where the dust bunnies hide. The trifecta of attic issues. Gone unchecked, any one of these issues can result in a very expensive mess. These problems should be addressed as soon as possible especially if you are trying to sell your home. Look up a local exterminator, mold remediator, or water remover if you run into any serious problems, as some issues are best left to the professionals. Now that you’re left with just the stuff you like, contact Meehan’s Family Moving or call 561-904-6000 to move it to your new home whether it’s across the county or across the country. For 50 years, our family-owned moving business has reduced the stress of moving for thousands of families. Contact us for a free, no obligation quote today. Putting the customer first is our main priority, and we are excited to hear from you. Not convinced? Read our shining reviews from past clients. Why Not Move to Sunny South Florida? 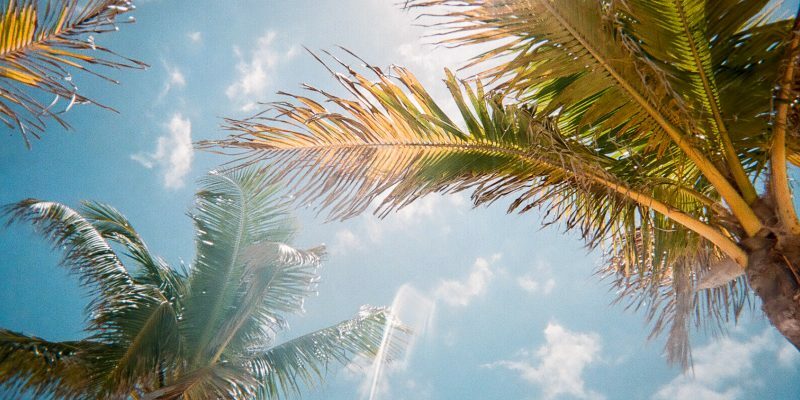 Ready to bask in the sun? We’ve helped so many families with long-distance moves into Florida. Contact us today for a free quote! If you’re too busy shoveling snow, putting on 14 layers of clothing to walk your dog, and wrapping up your kids in so much clothing that they can barely walk to school, it’s time to stop what you’re doing and pay attention. What if I told you that with one simple move, you’d never have to do any of that again? No, this isn’t a hypothetical question; It’s totally possible right here in sunny South Florida! To start, in South Florida you are never too far from the ocean—an ocean that you can visit year-round without freezing your toes off. There are few things as calming as feeling the salty ocean breeze on your skin and listening to the waves crash against the shore. You can have your own personal oasis every day in South Florida within a quick drive—or walk—to the beach! Speaking of cold, winter is usually a time of staying indoors as long as possible, cranking up the heat, and wearing layer on top of layer if you were to go out and brave the cold. But in South Florida, the winter is our time to shine. Even during the coldest days and nights the rest the country experiences, South Florida shines bright and stays comfortable for everyone. If you wanted to, you could still hit the beach and enjoy some fun in the sun. Invite your friends and family that stayed up north after you move, they’ll appreciate the climate change! Think you’ll miss your bustling city life while living in South Florida? Between Miami, Ft. Lauderdale, Delray Beach, and West Palm Beach, you’ll never be too far away from world-class restaurants, bars, and clubs! That means that you can have a home in a nice, quiet area while still enjoying the entertainment that big cities are known for; the best of both worlds. Moving is never easy, but if you were to move anywhere, why not choose South Florida? You can get year-round sunshine, world-renowned restaurants, beaches that are never too far away, and a non-existent winter! 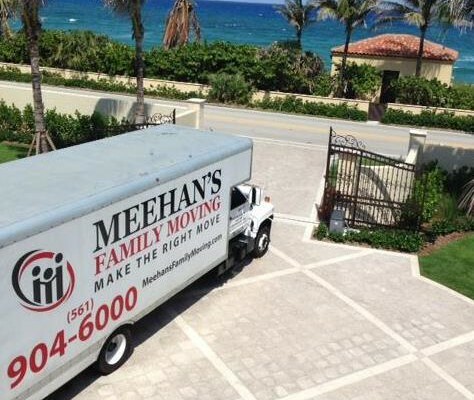 If you’re thinking about making your big move to sunny South Florida, call Meehan’s Family Moving. We are third-generation moving specialists and we understand the importance of quality, security, and customer care while moving. Our number one goal is making the whole process worry-free. Contact us here for your free quote or give us a call us at (561) 904-6000. we look forward to hearing from you! Tired of encountering moving companies with low standards for quality and safety? We were too, that’s why we formed Meehan’s Family Moving – Florida’s family-owned moving company. We’re known for our attention to detail, trustworthy staff, and dependable moving services. But don’t just take it from us, see our reviews for yourself! Check out these four reasons why a family-owned moving company is right for your move. As a tight-knit group, a family-owned company provides the kind of security and confidence that the moving industry severely lacks. At Meehan’s Family Moving, we incorporate our family values or trust, honesty, and dependability into our moving company. That’s because we treat our customers like family – we’re there for you when you need us the most. Our staff works tirelessly to make sure that your move day goes as smoothly as possible. You can only expect this high level of communication and care from a family-owned business. To continually deliver the perfect moving experience, we strive to remain disciplined to our core values. By treating our customers with the utmost respect and care, we make your move day less stressful and more efficient – because you have new places to be and new people to meet. We’re committed to moving your family on time and within your budget and we’ll work with you ahead of time to ensure that our moving plan is executed flawlessly. We’re driven by our vision to deliver more than just your average moving experience. Meehan’s Family Moving is on a mission to “Wow” our customers with openness and honesty. As a close-knit company, our founder is very present in the daily operations of our moving company. In fact, give us a call and there’s a good chance our founder will pick up the phone! This is just one example of our effort to make you feel at home that only comes with our unique family-owned business. 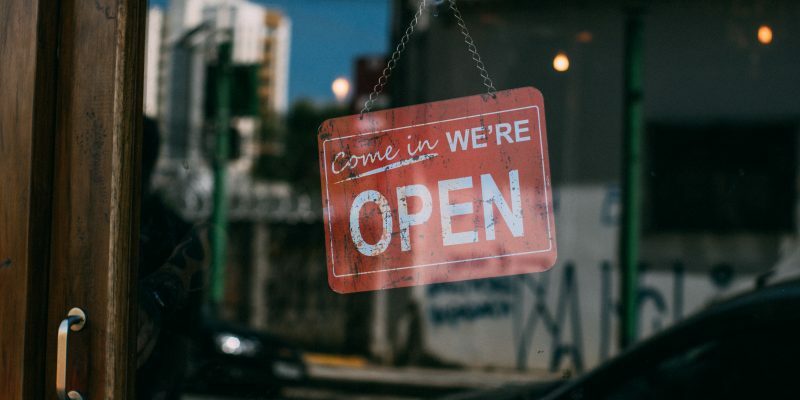 In today’s corporate-run world, working with a family business has become a preference of many who desire to break away from the standoffish attitudes of large companies. Meehan’s Family Moving brings the best of both worlds with competitive pricing and an at-home experience that makes moving your things one of the most effortless parts of your move. Above all, our morals and values are unmatched by large moving chains because we go the extra step to ensure that your property is handles with care and attentiveness as if it was our own. When it comes to putting your trust and confidence into a business, you can always depend on the quality and care that comes from going with a family-owned moving company. We at Meehan’s Family Moving have served the public’s need for a trustworthy moving company for three generations and we’re ready to serve your family. Contact us here or call us today at 561-904-6000 for a FREE quote. Some moves might be more comfortable than others, but long-distance moving is possibly the most grueling and tiring. There’s a lot to be done along the way, and it can be hard to keep track of it all. Here at Meehan’s Family Moving, we understand how important it is to stay on top of your tasks during a big move, so we’ve put together a quick guide to help you during your long-distance move! Take the time to research interstate moving companies in your area. Then, figure out a budget, get a long distance moving quote, and narrow down the list to find the best moving company for your situation. Create a list or spreadsheet with everything that needs to be done and by when. Put it somewhere that it is visible and easily accessible, and review it often. By doing this, you’ll make sure you get to everything that needs to be done without forgetting any tasks along the way. Packing will be stressful, and it will take a lot of time. Start early, and label boxes as you go. 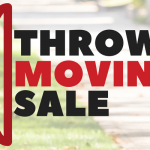 Use the move as an opportunity to declutter, and discard or donate items that you no longer use or need. Prepare a bag of things that you will want to have at hand with you during the move, like important papers, toiletries, changes of clothes, and anything you’d expect to need during the trip and first few days of unpacking. Most importantly, be completely packed and ready to go on moving day. Moving across the country can be very stressful on children and pets. Having a plan well in advance will ensure that they remain calm and safe, allowing you to stay focused on the task at hand. Keep entertainment and snacks readily available for small children, and try to have some designated family members supervising them in turns. If you have pets, research different state laws regarding vaccinations and paperwork. Have your pet checked by a veterinarian beforehand to get health records up to date, and also to ensure that they are healthy enough to travel. Know the routes that you plan to take to your new home – research whether there is construction along the way, the best times to travel along certain roads, and where you plan to eat or stay overnight if needed. Plan frequent stops for pets and or children to give them the opportunity to stretch and use the bathroom. Remember to make reservations, book hotels in advance, and also get your vehicle checked out by a mechanic so it doesn’t break down in some unfamiliar place during your travels. Meehan’s Family Moving is here to help you move to your new home with no stress, even if it’s across the country! Our team of professional and expert movers will handle your possessions with the care and value that they deserve. Call us today at 561-904-6000 or visit our website for more information. 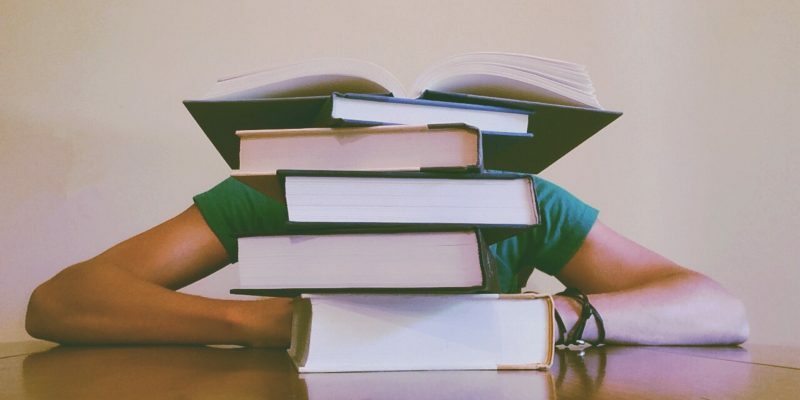 Moving, in general, is a very stressful and disorderly process, and when you add moving for college into the mix, you’ve got your hands full. Picture this – the big day has arrived, and you feel prepared, you feel calm. No this isn’t a dream, its reality for those who assemble a bulletproof plan for moving. Move in day will creep up on you and soon it will be right around the corner. 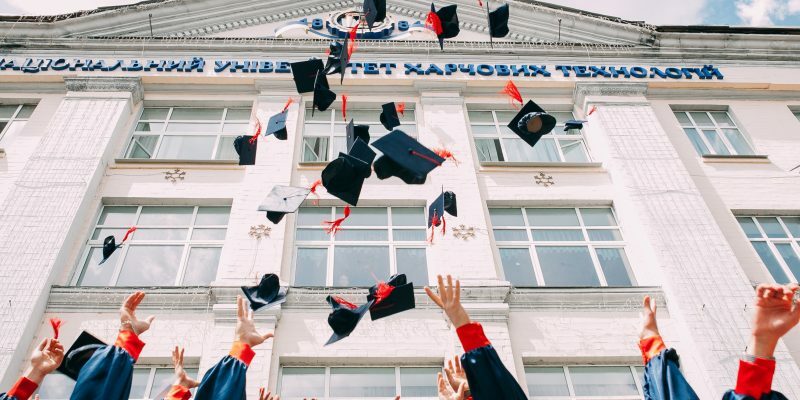 Don’t worry, Meehan’s Family Moving has provided you with 5 top tips for moving college students! Standstill traffic, younger brothers and sisters fighting and stressed out parents does not sound like the ideal moving situation. Especially if you are traveling a long distance, arriving a day before move-in day will give you time to recuperate before the heavy lifting starts. You may even be able to avoid the lines before move-in day by picking up school essentials a day early. The last thing you want to be focused on is a family reunion when you are attempting to haul and unpack college supplies. Make sure to bring only the essential members for this college expedition. The hallways are narrow and the living spaces are practically shoeboxes, so the fewer people, the more area you have to settle in. As semesters change, so does your wardrobe. If it’s December and around 20 degrees out, you will be fine leaving your shorts and sandals at home. The key is to pack what you need and nothing more. College spaces are cramped and crowded so freeing up as much space as possible is ideal. Just because a huge suitcase can jam pack a lot of things easily, does not mean that it is the smart way to pack. The most important aspect to remember is that college isn’t home and many of your things won’t fit. Pack your clothes in trash bags, already on hangers or use duffel bags that can be easily folded and placed into small spaces. Rummaging through the endless boxes of clothing and toiletries to find that one roll of tape will just make the moving process that much more stressful. Make sure you have a small kit of tools that are easily accessible for any on the job fixings. Be sure to put antibacterial wipes or cleaners to wipe off any surfaces that need extra attention. Moving your student for college can be made stress-free with our top of the line moving company. We’ll take care of the essentials so you can soak up every last minute of your farewell. Meehan’s Family Moving is your local moving company that is there to support you from packing to unloading. We will do the heavy lifting, so you don’t have to. Call us at (561) 904-6000 or contact your local movers here for a free quote! Maybe you’re moving to change things up or to live closer to family, or maybe even to live in warmer weather. The reasons may be endless, but we found that the most prominent reasons why seniors are moving are because of health issues, a need to downsize, and to be closer to family. Seniors might be relocating solely because of changes in their lives, whether that is a reduction in cognitive function, mobility, or their personal health. Some of these seniors find themselves in critical conditions with obvious complications that require the help of another individual or medical professional. There are also other medical issues that are not as severe but still bring complications. Though health issues like diabetes or a recent bone fracture are milder conditions than the severe medical issues, seniors could use another person’s assistance here and there to make sure that their health is taken care of. Other issues of this sort include arthritis, hearing loss, and allergies. With whatever medical issue you or a senior may have, big or small, it is important to fully understand it. This will help in relocating the senior as medical conditions must be addressed and nurtured. 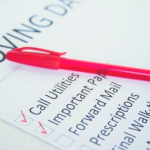 Moving a senior member of our society also involves moving medical records and switching personal physicians. These aspects should be considered just as much as any other aspect of a big move! A large number of seniors are moving to downsize. They’ve found that their houses are too big for just 1 or 2 people after living in the same place through decades and life stages. However, downsizing is a bittersweet process for a senior. It is emotionally stressful, but also an exciting next step as it a new beginning. It is natural to collect overtime. The stress kicks in when you need to figure out what to do with all of the furniture, antiques, clothes, knick-knacks, and more, that the new home will not have room for. They must figure out how to sort, sell, and organize the things they no longer want or need. They also have to figure out what to preserve or honor and how to best do this with their personal items. With this process comes a need for help from friends and family. Seniors need another person to help make these big decisions, just like anyone else. But because they are moving, this might be more stressful for them after living in one place for so long. Some easy ways to start include holding an estate sale, donating reusable items, hosting an online auction, or hiring a removal and clean-out service. As the size of the household grows smaller, the feeling of loneliness grows larger. When the process of moving is brought up, it is important to remain empathetic the entire time. Understand that although digital communication has grown tremendously, some seniors have impaired hearing or seeing which makes this online communication more difficult. Often, seniors will have a caregiver but this relationship is not one that provides a deep and engaging connection. These factors are just some of the contributions to a senior’s loneliness. 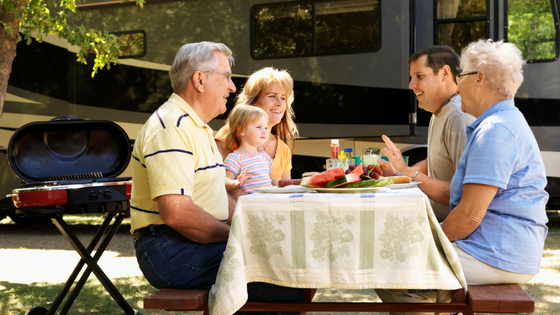 Many studies have found people who are 55+ move closer to family and friends who, a lot of the time, have relocated. Just being near someone familiar brings back a sense of community and intimacy. As humans, we deeply value our relationships, which is why seniors often want to move closer towards family or friends when their household number shrinks. Moving is far too large of a task to handle it all by yourself. With Meehan’s Family Moving, you can trust our family-owned business to handle your move with care and diligence. Meehan’s Family Moving understands the importance and possible difficulties in each unique situation. As a third-generation moving specialist, Meehan’s Family Moving is prepared for all kinds of moves that will leave you feeling confident and stress-free. Visit our website to get a free quote! Relocating to a new state can be exciting, but it can also be extremely stressful. There’s so much to be done, and it never feels as though there is enough time for everything. Unless you’re a superhero, it can difficult to balance all of these new changes along with an interstate move. Meehan’s Family Moving wants to help make this transition more comfortable for you with these three tips. – Preparation is the key to success when it comes to moving. Don’t wait until the last week before you move out of state to get started on packing. This process can be more stressful and time-consuming then you imagine. Begin going through your stuff and be realistic about what you’ll be bringing with you. Don’t delay your move as you pack up the last few boxes on moving day. 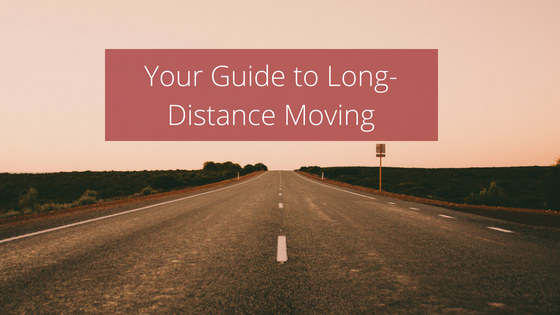 – Long distance moving is calculated by the distance and weight of your items. Shed some of the dead weight and save yourself some extra cash. Anything you want to leave behind can either be sold or donated if you prepare ahead of time. Ideally, this prep work could begin in the months leading to the big move before things get too hectic. So declutter and rid yourself of extra baggage that will only cost you more money to move. – Insurance coverage can be a lifesaver if your property were to be lost or damaged in a long distance move. Protect your assets and look into different coverage plans in preparation for the big move. In the worst case scenario, this can help you recuperate any monetary value of your property. Keep in mind this will not be able to replace anything of sentimental value. Do your research and go with a moving company with excellent reviews right off the bat to lower your risk. Here at Meehan’s, we know that some things are simply irreplaceable. At Meehan’s Family Moving, we know you have a million things to do so let us take this extra load off your hands. As full-service residential movers, our goal is to make your journey as stress-free as possible. Call us at (561) 904-6000 or visit us here to get a quote for your long distance move. We know Palm Beach, one of Florida’s most populated counties, like the back of our hand! Thinking about moving down? Contact us now for advice and a free quote for your move. Have you ever heard the expression, “When it rains, it pours?” Here, it can pour on one block and be magnificently sunny one block over. South Florida counties are prone to wet summers, and Palm Beach County is no exception. Summers can reach blistering temperatures, and humid air often turns into thunderstorms in this tropical climate. However, this is not to say that Palm Beach County weather is all storms and gusts. In fact, it’s quite the opposite. Fall and winter in Palm Beach County are particularly beautiful, with low temperatures that dip into the 50’s and highs that reach 80 degrees. If you’re making the move to Palm Beach County it’s safe to say you can leave your winter coat behind. Palm Beach County stands out among other South Florida counties for a variety of reasons, but something particularly noteworthy is the variety of landscapes it offers. On the eastern edge of Palm Beach County you’ll find gorgeous sandy beaches that are complimented by a thriving nightlife – Delray Beach and West Palm Beach offer fantastic beaches that sport seaside towns full of shopping and restaurants. Moving more inland, Palm Beach County becomes more rural. Home to some excellent schools for your young ones, you’ll only ever be a few minutes drive from classes to the shore. Most uniquely, Palm Beach County does include the northern edge of the Everglades National Park. Between various wetlands, such as Arthur R. Marshall Loxahatchee and Green Cay Nature Center, and the tip of the Everglades outside of your front door, peaceful walks and exciting wildlife are always nearby. Some people hear the word “traffic,” and immediately assume it’s a bad thing. However, do you know why Palm Beach County streets get a bit busy? It’s because the county features growth every year, with more people fluctuating in to stimulate the economy and add their own flavor to the county. Between schools, entertainment, dining, shopping and wildlife, there is always somewhere to go or something to do in Palm Beach County. Since you’ll be sharing the road with just over 1.4 million Palm Beachers, a bit of congestion is expected here and there. The upside? Palm Beach County streets are meticulously maintained. With most main roads featuring upwards of four lanes lined with flourishing palms and tropical plants, even a slower drive is a gorgeous drive. Additionally, major roadways such as Interstate 95 and the Florida Turnpike make getting from Point A to Point B a whole lot quicker. Are you making the move to Palm Beach County? Welcome! Bear this information in mind as you get adjusted, and contact the team at Meehan’s Family Moving for help settling in to your new place. Give us a call at 561-708-4639. Moving is one thing, but moving cross-country presents a whole new set of challenges and stressors. It takes more time, more money, more organization, and more help, so when choosing a moving company for your big move, what should you look for? Stick to these three tips and you’ll be in trusted and able hands during this stressful time in your life. 1. Check for their licenses and insurance. For an out-of-state move, look for the US DOT number which has been approved and distributed by the United States Department of Transportation. Once you see that they have one, check that it is valid using the DOT database. For California moves, it’s called a Cal T license, so make sure to look for that instead. On that same website, you can check if they are currently insured so that you will not be responsible if anything were to happen. A bonus would be if your personal items were covered during the move, but if not, you could always reach out to an outside insurance company. 2. How long have they been in business? Do they have reliable reviews? Choosing a company with many years of experience under their belt means that they have stood up against the competition and have proved themselves to be a responsible and reliable moving company. Additionally, check some online review sites or testimonials to see if they have any specific strengths or weaknesses. 3. Ask what their rates include. Out of state moves can get expensive very quickly, making it extremely important to get your budget in check. Do their rates include gas? Does it change based on the season or days of the week? This is also something you can look at reviews for—any hidden charges will be first and forefront in negative reviews. As third generation moving specialists and over 10 years in the business, here at Meehan Family Moving we understand how stressful moving can be. We’re here to make your move—whether local or cross-country—as easy as possible. 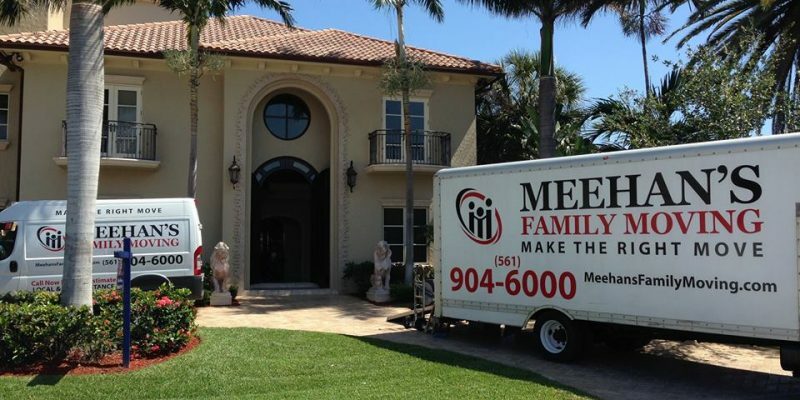 For movers you can trust, call 561-708-4693 or visit us online at www.meehansfamilymoving.com.